Charlotte Septic Services has been one of the Best septic tank services in the area for over 20 years. We are a family owned and operated company that specializes in a wide range of septic services. We have seen it all over years with standard, conventional & aerobic septic systems. Our staff is experienced in new septic system installations, replacements, and septic repairs. Charlotte Septic Services works with homeowners and local business owners. Our team is not scared of residential or commercial septic services. We’re committed to cleanliness and our staff does its best to always go above and beyond your expectations to provide great service. We offer prompt and reliable septic services. Our service area is Charlotte and surrounding areas operating on a 24 hour, 7 days a week schedule for all your emergency septic service needs. At Charlotte Septic Services, our sales team and technicians are experts at identifying problems with your septic system. Our technicians ensure that from your septic tank to the drain field is operating properly. We also measure tank levels to make sure they are normal. If issues are because of abnormal tank levels, we will provide a detailed recommendation. Our goal is to get your home or business’ septic system up and running smoothly. Believe it or not, if you’ve moved into a home with a septic tank, it’s a miniature sewage treatment facility. All water from your sinks, toilets, and showers must pass through your septic system. Septic systems get used when there is no city sewage connection. 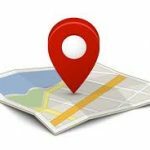 It’s very important to know your local septic service companies in the area. All the waste water from your home enters the septic system, and heavy solids will sink to the bottom. The F.O.G. or fats, oils, and grease float to the top. The area in the middle, effluent or gray water, is what drains into the drainage field. This is what is absorbed into the ground and recycled. It’s important that we don’t let the bottom layer, sludge, build up. If it does, it can escape the system into the drainage field and cause major problems. This is why regular septic inspections keep your system running for decades. Call Charlotte’s best septic tank pumping service (704) 226-4959. Septic tank pumping is one of the easiest ways to ensure that your system stays working for a long time. Pretty much like anything, proper maintenance is critical. Charlotte Septic Services provides professional septic services done right the first time. Don’t be tempted to go with whoever pops up for cheap septic tank pumping… Remember that your home is probably your biggest investment. While price is important, so is the quality of the work done to your home. Septic pumping is no different. 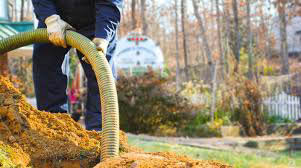 There are several septic tank pumping companies in Charlotte, call Charlotte Septic Services for the best! Regular septic pumping prevents all sorts of major problems that can occur. If particles of waste escape the tank, they can clog pipes and also get trapped in the drain field. This prevents the absorption of the wastewater. It doesn’t take much time for the field to smell like raw sewage (because it is). You’ll wish that you found someone that did septic tank pumping near me. The solids that sink to the bottom of your tank, or sludge, requires periodic septic pumping. The sludge at the bottom should never reach 30% of your tank’s capacity. The size of your family and your septic system determine how fast that fills up. Even the best septic bacteria can’t break down 100% of the organic material. This means that it will start to build up. It’s usually when the sludge layer is over 30% of the tank that it needs to be pumped. Getting your septic pumped regularly is important. Septic pumping and septic cleaning keep your system operating how it should. Also, these types of regular maintenance prevent much more expensive septic repairs down the road. Call Charlotte Septic Services today if you need septic tank pumping. If you can’t remember the last time you did it, it’s time for a septic pumping. We understand that nobody wants to hear that they need a new septic system. It’s difficult for most homeowners to realize that it’s time for a new septic system. 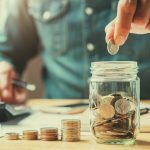 A few things to think about… If you called for septic services a couple of times in the last year, you might want to budget for a septic tank installation. Almost anytime that your septic system gets worked on it will need to be pumped. This is a great opportunity for Septic Professionals like Charlotte Septic Services to inspect your system and identify any potential problems. If you do have a problem with your system, septic pumping alone will not fix it. Septic systems are expensive, but so is a system not worth fixing anymore. 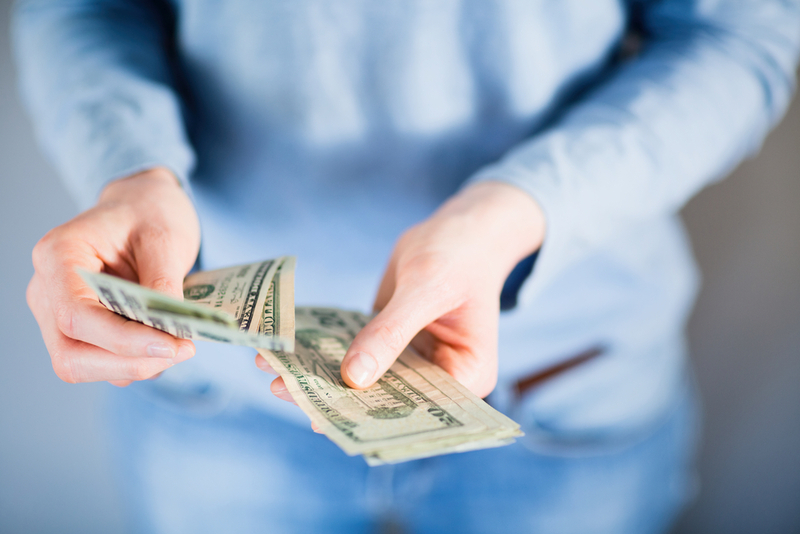 At some point, it doesn’t make sense to dump any more money into a septic system repair. This is a tough decision but the staff at Charlotte Septic Services has the experience to help you make this decision. In the last 20 years, we have seen it all when it comes to septic service. 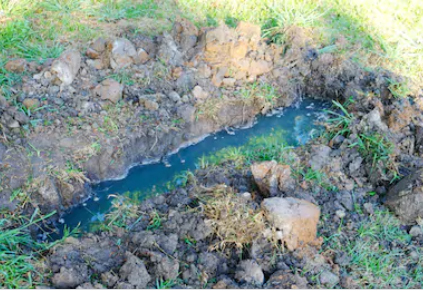 It is not uncommon for a properly serviced septic systems to last over 20 years. When you find yourself in need of a new septic system, you will want to work with a professional. The design of your septic tank is very important. We mentioned it above, a system can last 20+ years… But a poorly designed system can fail in a matter of weeks. Your home is probably your biggest investment. You want to hire trained professionals for a septic installation. They will almost always need to pull a permit. Have a professional design engineered. Also, your septic system is about the most expensive system in your home, second only to your central HVAC system. 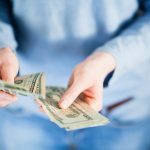 You don’t want to spend 15,000.00 with a company that doesn’t know what they’re doing. Call us if you are looking for the best septic tank service! Charlotte Septic Services has a team that is licensed and insured. We are committed to providing the best customer service. Our trained staff can help you through each step of your septic system installation process. You won’t feel left in the dark. For most homeowners, the septic system is out of sight, so out of mind. We find that the majority of homeowners do no maintenance to their systems at all. We get a phone call for septic repairs to get them back running again. Your septic system is important and expensive… It should be properly maintained. The unit manages 100% of your wastewater in your home or your business not connected to the city’s main sewer lines. Traditional septic tanks are very simple. There are not any moving parts and the system is gravity fed. These systems can still need septic repair. If you find yourself in need of a septic repair, call us today. In a traditional septic system, wastewater enters through a chamber into the septic tank. Then the heavier solids settle to the bottom. This is called the sludge layer. The fats, oils, and grease for the scum layer and floats to the top. The middle section of water is called the effluent. The liquid moves through the chamber into the second chamber. This is where solid waste also moves to the bottom. The excess liquid flows out into your drain field. During this entire process, the waste is anaerobically decomposed. Septic systems can run for decades when they work the way they should. The EPA used tell consumers that the average septic tank should be pumped every three to five years. But, it depends on the system you have, and the size of your family using it. Detached divider – Some septic tanks have a wall dividing it into two, one chamber could trap the sludge, causing a system failure. 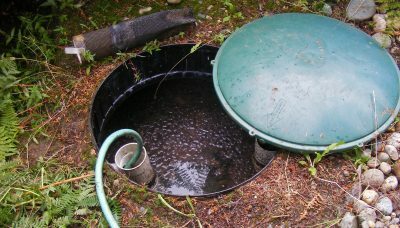 Full Septic Tank – If your tank is overflowing, it could mean that there is an issue with the drain field. Maybe there is an issue absorbing the water. Wall corrosion – Septic walls, even concrete, can corrode with the introduction of hydrogen sulfide gas. The gas can become trapped in one or more of the compartment tanks. Roots – Your septic system dispurses wastewater. It natural for nearby trees and plants to grow towards the septic system. Tree roots can cause extensive damage. Septic tank cleaning is important. There is no better time then when you are going to get septic tank pumping done. The pump truck is already there and we can really make sure to get the inside of that septic system clean. If you’re looking for septic tank pumping near me, make sure that they also offer septic cleaning. Charlotte Septic Services can handle all of your septic needs. 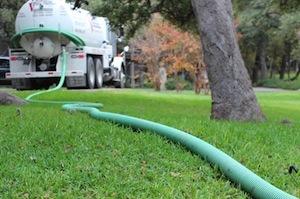 We will make sure when pumping your tank, you get a thorough septic tank cleaning as well. Our technicians are trained to make sure that your system is cleaned properly. Our guys will be sure that all sludge and solids are cleaned from your tank. This is followed with a visual inspection while the tank is emptied and clean. Septic tank cleaning cost is not much more than just a regular septic tank pump out, call us today to find out more. A sewage system has a sole purpose to remove, treat, and dispose of wastewater from your home. That’s a pretty important process for your home. If you didn’t have a septic tank in place, your dirty water would have nowhere to go and your home would stink. A. A Septic System keeps your home clean and the water flowing somewhere when you’re done with it. After all, who wants there home to smell like a porta potty? People opt for a septic system to be more economical, Eco-friendly, and to be independent of an urban sewer system. Instead of your wastewater leaving your home into a central drainage system, it will enter your septic tank where bacteria will break it down gradually. Your tank will start to fill up with this liquid waste end product created by bacteria till it’s time for your next Septic Tank Pumping. Most experts would agree that every three to 5 years is good for a thorough septic cleaning. Charlotte Septic Services is here for you for your septic pumping, septic cleaning, and septic inspections. Everyone, not only the experts, agrees that an annual inspection is very important. This is a chance for us to catch minor issues before they get to be major ones. If you can’t remember the last time you had your septic system services… It has been too long. There’s nothing worse than coming home after an exhausting day at work to realize you have a septic problem. Fortunately, Charlotte Septic Services is open for any Emergency Septic Service 24 hours a day and 7 days a week. Signs your septic system needs a repair are: foul odors, not able to flush your toilet, slow draining sinks and bathtubs, wastewater backing up in the home, odd sounds in the plumbing system, and soggy spots around the septic tank or drain-field. If your septic system has any of these symptoms, have our septic experts fix your problem before your septic system fails at (704) 226-4959. When you have Charlotte Septic Services take care of your septic tank, you should expect the best. You don’t have to worry whether they found and fixed the blockage in the system. Whether it’s a clog in the pipes in your septic system, inlet baffle is clogged, or need septic tank pumping, our excellent customer service will have scheduled immediately to get your septic working promptly. Don’t waste time with other septic companies. You will be amazed by our award-winning service and of course how well we did our job. Don’t take our word for it, take a look at our reviews! If you own a home for the first time with a septic system, our septic professionals can come by to get you set up. 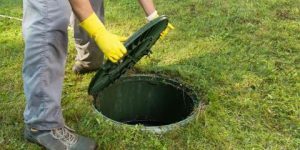 If you are asking where you can get Septic Tank Pumping Near Me, Charlotte Septic Services offers superior customer service and flexible scheduling to get you taken care of. Keep in mind that not all septic tanks are the same. A larger septic tank won’t need to be cleaned as frequently as a small one. The number of family members in your household can affect the time you have your next service too. Homeowners with a septic tank can have a range of sizes in their home. Some households only have two people using the septic system, while other households are much larger. More people in your home will mean more frequent septic pumping needed than those with small households. These are important factors for determining your next septic tank cleaning. Don’t neglect your septic tank. If you are a homeowner with a septic system, you may be asking someone for a Septic Service Near Me. There is no need to look. Charlotte Septic Services offers a five-star service and knowledgeable experts to address any septic problems. 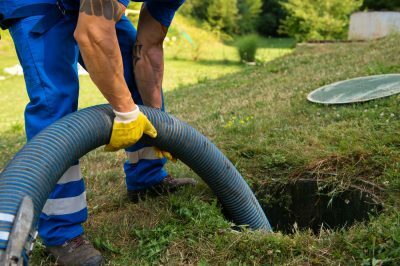 Our experienced septic professionals provide superior septic tank pumping, septic tank installation, septic tank repairs, septic inspections, septic tank cleaning, and anything revolving around septic. If you need any of our services, reach a septic team member today at (704) 226-4959. While some people live in areas that have a public sewer system and sewer lines. That’s not always an option for homeowners, especially in rural areas. Charlotte, North Carolina has one of the larger populations with septic systems. If your septic tank has been neglected for many years without proper maintenance, you may need a septic replacement. A Septic Tank Cost ranges depending on the septic tank size you need and the number of septic tanks needed. If you would like an estimate for a new septic tank installation, contact Charlotte Septic Services at (704) 226-4959. Our customer service team would like to hear from you! We provide the best septic installations, replacements, and repairs that will keep your family happy with each flush! If you want to avoid replacing your septic tank, you will need to maintain your system. Every two to five years, you need to have septic tank cleaning done to protect your tank and keep your tank working optimally. Septic Tank Pumping Cost depends on the size of your tank and number of tanks. If you let your tank go too long and you cannot flush the toilet, there will be an additional cost added onto it. Give Charlotte Septic Services a call at (704) 226-4959 to schedule your septic tank pumping service. Septic system inspections are important for finding small problems before they become costly ones. We recommend all homeowners have their septic system checked annually. This is to ensure your septic is in working properly. All homeowners selling their home should have their septic tank inspected to ensure it is working properly. Septic Inspections add value to your home and avoid liability issues if the septic system suddenly stops working. We also recommend anyone looking at homes on the market with a septic tank to ensure they have an inspection. There would be nothing worse than buying a home with a septic tank that no longer works and realizing you need to buy a brand new septic tank on top of your new home purchase. That’s why septic inspections are so important. Since a septic tank is the highest priced fixture in your home, you should protect its shelf life by giving your septic system the care and attention it deserves.